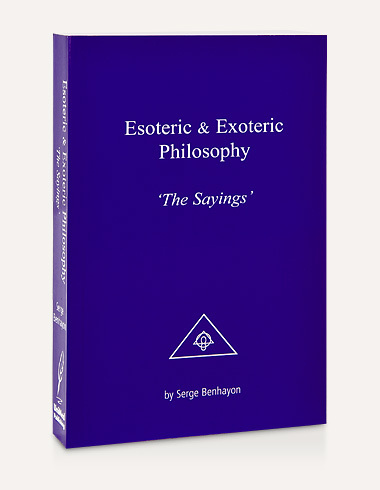 The title of this collection of esoteric and exoteric philosophy presents at least one, if not two very misunderstood and misinterpreted words, namely ‘esoteric’ and ‘exoteric’. 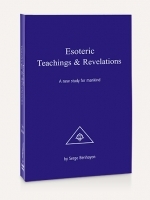 And whilst ‘exoteric’ is not so widely in use, the word ‘esoteric’ as it stands today is very far away from its original and very practical and down to earth meaning. Esoteric means the inner-most and it is that which is found in the inner-heart of every human being. The esoteric is that which is truest and closest to what we actually and truly are; it is our essence as human beings in a physical body and the place where true wisdom can be accessed. As it stands today, the word ‘esoteric’ has been demeaned and misinterpreted to signify that which is somewhat obscure and abstruse, something that is only for the select few and those with special knowledge. This definition begs the question: How can something that is at the very core of every, yes every human being made out to be or described as obscure and only for a select few when we all have it equally? That it can’t be for a select few immediately makes sense when you consider that the esoteric is at the very core of each, yes of each one of us – the feeling of a certain quality and knowingness that is undeniably there if we but care to stop long enough and connect to it. And thus - is it possible that it has mistakenly been described as abstruse or obscure by virtue of the fact that we have not connected to it even though it is ever present? In summary: ignore something long enough and it becomes obscure by virtue of the fact of having been ignored. But remember that it was only the choice to ignore it that made it obscure or abstruse and that it is not by its very nature anything like that. Does it really make sense that something that is at the very core of every human being can be described as obscure or abstruse? Of course not. The word philosophy is less contentious in its meaning and translates as “love of wisdom” from the ancient Greek. And thus you have before you a collection of sayings that are steeped in the wisdom of what is known as the Ancient Wisdom – an unshakeable and undeniable knowingness and wisdom that has been there as long as human beings have walked the earth. And where can it be found, where can it be accessed? Where is this place of absolute knowingness that tells us whether something has the ring of truth or not? In the inner-most, the esoteric which we all have equally. The exoteric is the expression of the esoteric in the outer physical world of the five senses, the stage we all share as human beings. 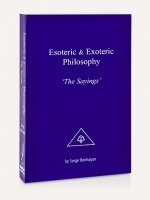 The sayings under the umbrella of esoteric and exoteric philosophy presented in this book bridge what is known to be of truth in the inner-most to the outer world of action and expression. And thus the way of true and practical philosophy – the application of true wisdom based on the esoteric in exoteric expression, in our daily lives. A whole book on time – what then is time? The answer seems obvious in many ways, as we are very used to measuring and quantifying it, but is it possible that our perception and understanding of time is wrong and not serving us? Time certainly makes for a captivating topic. Time, like the body we live in, is our constant companion and we can never get away from it for too long. 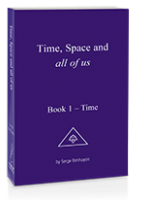 After debunking our erroneously held notion of Time in Book 10 of this trilogy, ‘Time, Space and all of us’ Serge Benhayon moves on to Space and what we might perceive it to be, if we give it any thought at all. And if indeed you need or would like to catch up on this vast topic, these 766 pages entitled ‘Space’ will provide ample opportunity. 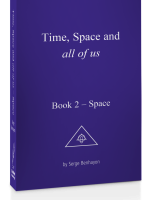 This is not a book on astronomy or cosmology; the Space that Serge Benhayon expands on is the stuff that we live in, that surrounds us, goes through us, into us with every breath and that we contribute to with every outbreath. Pretty big? Yes, it is indeed. But wait, there is more, much more. 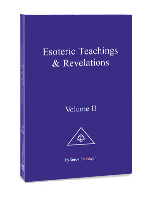 This is the second instalment of Esoteric Teachings & Revelations (first volume published in 2011) and the collection for the third one is already complete, awaiting its final stages and publication. Passages from workshops, presentations, The Way of The Livingness Sermons, from communications with students of Universal Medicine as well as pertinent excerpts from any of the thus far nine published books have here been brought together in an easily accessible form and made available for the public at large. We have all felt at times that life on earth, human life, our life is not consistently what it could be – that it is not as joyous and free and simple as we imagined it to be, when as children we could not wait to grow up and have a go at it ourselves. Why read a book entitled ‘The Way It Is’ you might ask, when how it is must already be known by sheer virtue of living life in this world with family, neighbours, colleagues, alongside millions and millions of strangers and embedded in systems and governance of one kind or another? Would it not be more expedient (and relaxing) to turn a blind eye to what is really going on? Or better still, would it be instead far more rewarding and personally more satisfying to immerse oneself into bettering and finding solutions for what is not working? Perhaps we should stop and consider how we have been so blindly comforted by the notion of solutions and that we can have them/come-up with them whenever a crisis appears. A closer look at life reveals that at best, solutions perform as ‘band aids’ rather than truly bring solution to the thwarting issue or ill at hand. Could there be more we don’t know or, do know but, either don’t want to know or have not had the support to know? Have you ever wondered why despite all your best intentions, despite the yearly habitual round of New Year’s resolutions and promises to yourself and sometimes to others for added support (or to get them temporarily off your back) – it is very, very hard to truly change and create the new you, become the version of yourself you know deep inside is the truer, more self loving and loving real you? 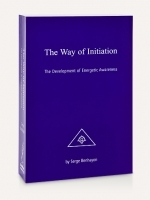 In worldly terms, it can be said that we have all, at one time or another, sought to initiate ourselves or be initiated, irrespective of whether we have actually ever used the word ‘initiation’ or not. This book is a healing handbook of 728 pages, a companion compendium for you, the reader to use on a regular, and if you so choose, on a daily basis. Each of its entries is complete in itself, be it a one-liner or a half-page text passage and you will find much here that might seemingly come out of left field at first but which, upon further pondering, will debase many of our repetitive choices and the cumulative big and small irresponsibilities of daily life – what is generally referred to as normal and acceptable, albeit only just.